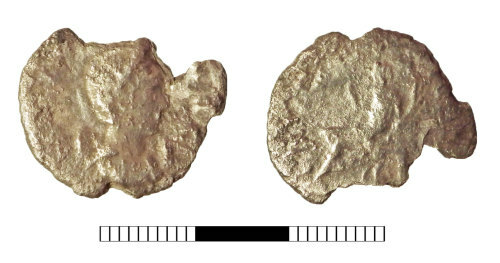 An incomplete and worn copper-alloy Roman radiate of Salonina (AD 253-268), joint reign with Gallienus, dating to the period AD 260-268 (Reece Period 13). PVDICITIA reverse type depicting Pudicitia seated left, raising right hand to veil, holding long transverse sceptre in left. Mint of Rome. Cf. Cunetio, p. 112, no. 990.